Today is your last chance to pre-order the BrickLink AFOL Designer Sets to benefit from free worldwide shipping. Those that are definitely making it to production are now listed in our database. Such '3rd party' sets would not normally be added but we have made an exception for these, for reasons explained in this article. So, go right ahead and get that last-minute order in for one of the fantastic models! Pre-orders end tonight at 9PM BST, which is 1PM PST. I bought the Wild West Saloon and The LEGO Story. Now I'm wondering about the firetruck...! The LEGO Story will be heading my way momentarily! I'm glad that Lego was involved with the process. It pains me not to buy these, but I need to set aside $200 for the Tantive IV, and then I’m not left with much. Otherwise I would get the science tower. Is there any reason the price of the sets isnt included? I'm really sad about this, but I can't buy any of them. :( That castle looks so good though! i’ve been in for the castle and eight-studs for a while. just last night I was reading about the bikes set and I had to add it. 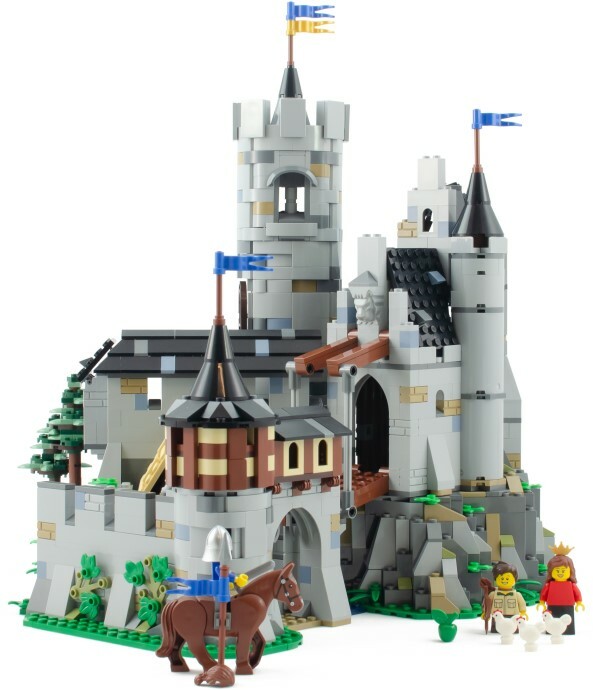 I think it is a great set for any city type builder/collector! I also added the chess set in hopes my son and I can get our chess/lego fix while on the go. my only regret is that I can’t buy more of them now..... the castle will certainly sell out! I’m embarrassed to admit I went a little crazy backing 4 projects - the castle, LEGO story, fire truck and science tower. I wish I could back more. The designs are incredible with so much care and thought going into them. Congrats to all the designers and here’s hoping all the projects get funded. @cherryrose: probably because taxes and tariffs will make them differ everywhere. I’ve got BIKES! and the shooting gallery on order; can’t wait! Just added 'bikes!' today to 'eight studs' and 'the Lego story'. And I like Bricklink, so I had no choice. Unfortunately Hungarian custom tax (or actually the VAT) add 27% to the price, and additional 10-15 USD tax handling fee, so with these fees it is not a too good deal fom me. 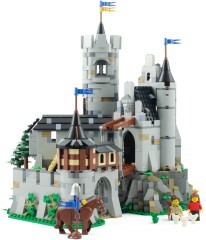 However I like the castle and the Lego story. Got Löwenstien Castle and the Saloon! Super excited for those! @Yellow - I’d love the castle but the situation in the UK is similar - I’ll admire from a distance! They have been added to the Brickset database, but Bricklink have confirmed that they will not be added to their database. @eMJee83 you received it already? How long did it take to receive it. They really need to make that site mobile friendly / responsive. Such a struggle ordering on my phone. Brickset have you considered emoji support in the comments? Kinda crazy Bricklink isn't adding them considering they ran the thing! Many thanks to Huw for including them here. Castle has reached 2500 pre-orders and is now "sold-out". We have listed them here.